UDecor Tint is a decorative concrete stain that can be used to add a splash of color to otherwise bare, unprotected concrete. Applied by mixing with either our UGloss top coat or USeal concrete sealer, this highly decorative product can be used both indoors and out and provides a great low-cost option for those looking to spice up their floors. 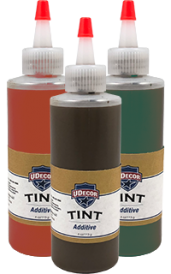 Available in 12 different standard colors, this product is ideal for those looking for a highly decorative finish with an easy application and quick turnaround time. Typical Coverage 200-576 sq. 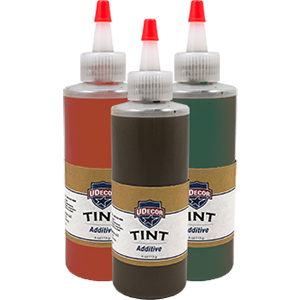 ft. Coverage varies depending on selected top coat and density of tint desired. Cannot be applied to any other UCoat It product.